GasFireplaces.org is run by a tiny little company based out of Illinois, we have no association with any of the brands of gas fireplaces. 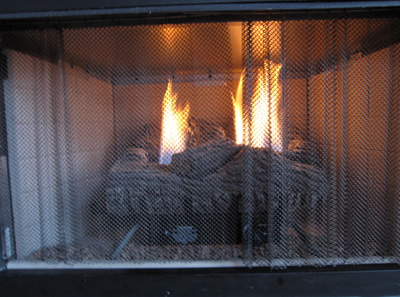 The closest contact we have in this industry is that one of the owners father (and grandfather) was a mason and had their fair share of installing gas fireplaces all around the greater Chicagoland area. When the opportunity came up to get this domain we thought we could put a valuable resource on the web to help consumers find answers to their common questions and guide someone through the process of deciding whether or not a gas fireplace is right for them. I actually use a gas fireplace to heat my condo all throughout a cold Chicago winter. I have 15 foot ceilings, and keep it at a toasty 70 degrees in the winter. My gas bill has never been over 65$. So I am a true believer in gas fireplaces. I think that in certain conditions they can make a wonderful source of heat. In my case my GFA furnace was far less effeciant than my ventless gas fireplace. If you have any questions or comments we will do our best to answer them. Please check out our FAQ section and see if someone has already asked. If not feel free to contact us and we will hopefully reply within 72 hours. Thank you for visiting and we hope we help you stay warm in the winter!